Whoops, it's March! That means there are two months of the new year full of new Japanese learning resources to cover. Oh, did you think we were killing this series? Nah, that was just a joke. But we did need a break before jumping back into the swing of things. January and February gave us tons of new learning tools, so we cut the fat and have nine new Japanese learning resources to grace your screens. Let's do this, 2018! There is no English version (yet), so other than finding guides and help online, you'll be forced to research the Japanese yourself, which makes for good learning! This cute little app might look familiar. 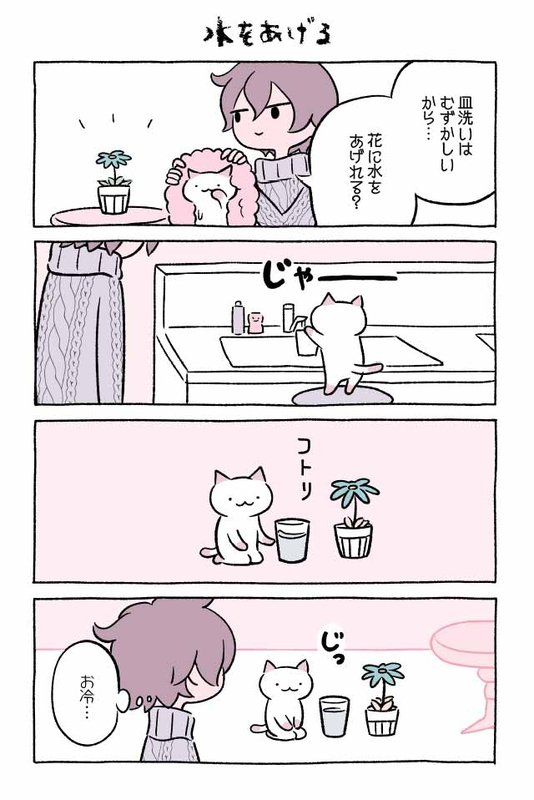 That's because it was made by Hit-Point, the same lovely people who gave us Neko Atsume ねこあつめ（）, the cat collecting game for us crazy-cat-lady wannabes. 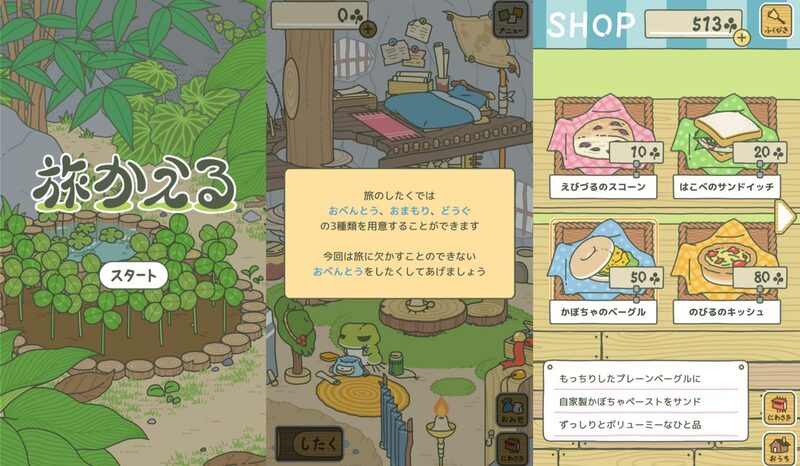 Tabi Kaeru 旅かえる（）, or "Travel Frog," is a similarly slow experience and less of a game than a way to distract yourself a few times a day. In the app you have a little frog who goes on journeys. You help it pack a bag of food, tools, and charms, and in return it sends you pictures and local specialty omiyage. All of these supplies and souvenirs have short descriptions and will affect where it travels next. 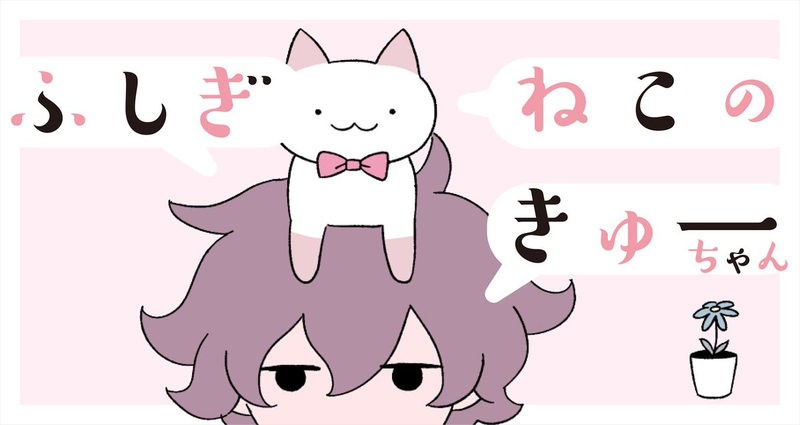 There is a surprising amount of text compared to Neko Atsume and you actually need to understand what you're reading to fill out your collections properly. This presents the opportunity to learn new words and a little about Japanese tourist locations. Fans are even making maps of all the tourist spots your frog is visiting. Learning about locations and their regional specialties on your phone, in Japanese, doesn't feel much like studying, but it can help you quite a bit. There are also some really great, practical ideas you can steal the next time you go to Japan for gifts to bring back for you friends and family. If you need help understanding parts of the game, or you just want to make sure you're understanding the Japanese properly, a cool guy named Damian Vila made an English follow-along tutorial you can use. But I'd recommend trying on your own first—maybe keep a little notebook or add the new words you encounter to your learning method of choice. Either way, it's a nice game that doesn't take too much time or attention, but has a lot of neat learning opportunities hidden within. And there is no English version (yet), so other than finding guides and help online, you'll be forced to research the Japanese yourself, which makes for good learning! And the twitter community unlocks even more in the way of learning possibilities, if you want to join their theorizing about locations. Keeping with our frog theme, Suiren.io (睡蓮 means "lily pad" in Japanese) is a new site that lets learners hop from one piece of information to the next (like a frog on lily pads), hopefully learning new things from the unique perspective. 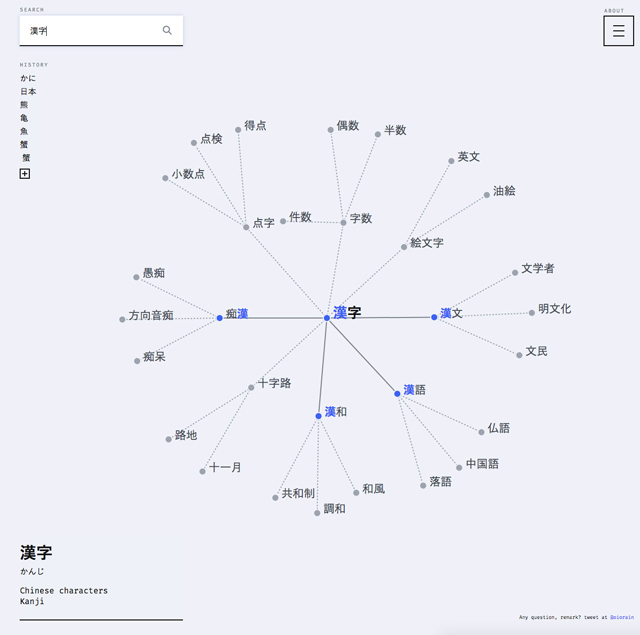 Entering a word into the search bar pulls up a series of similar words related by their kanji, branching out into different possible relationships. Hovering over a character will highlight all its instances, letting you fall down a rabbit hole of new words. The bottom left corner shows the selected word, its kana, and the most common English meanings. While it isn't a standalone tool, it's really fun to explore and you may be able to find some new words to add to your daily studies this way. This could be especially useful if you're having trouble remembering a certain kanji reading and want to see more examples of words that use the same one. Just watch out, not every word is on the site, so if you look for your friends 鰐 and 蟹 you won't find them here (for now). Coming out of a successful crowdfunding round on Kickstarter, creator Alex Alder has finished the PDF version of The World of Kanji. This book promises to help teach over 2,000 kanji using the etymology and historical themes behind each one. While the physical edition is still in the works, you can buy the PDF right now. 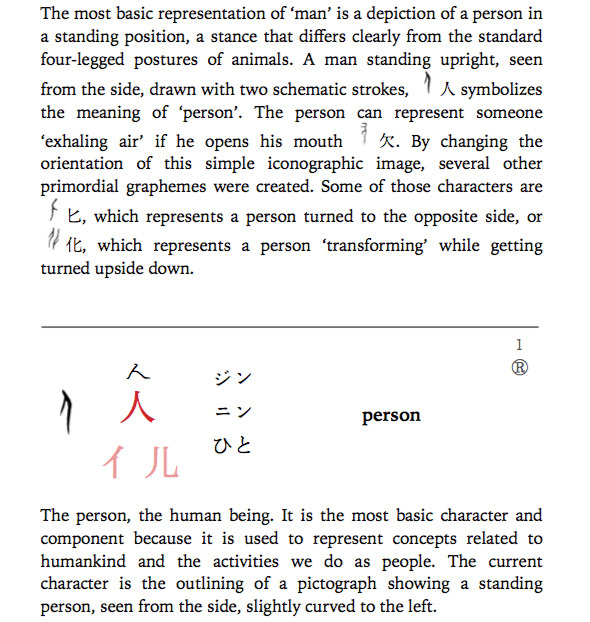 The ebook contains over 700 pages aimed at teaching everything there is to know about the etymology of kanji, focusing on the evolution of glyphs. Unfortunately, the book isn't written in accessible language and tries to make it clear that this is a high-brow book for smart people to learn Japanese the smart way. It was honestly a bit off-putting, especially because books using this "learn Japanese the old-fashioned way" style have been coming out more and more over the years. Using familiar, fun language could have really set this apart. That's not to say there isn't a lot of content in The World of Kanji. If you're interested in learning about Japanese etymology and using glyphs and images to learn kanji (or just about them), it could be an interesting addition to your studies. But at $18 for the ebook, you may want to wait for the physical edition and get your hands on some glossy pages. Choose a username and invite some friends with the unique link at the top of the page. Once your friends join, the fun begins! 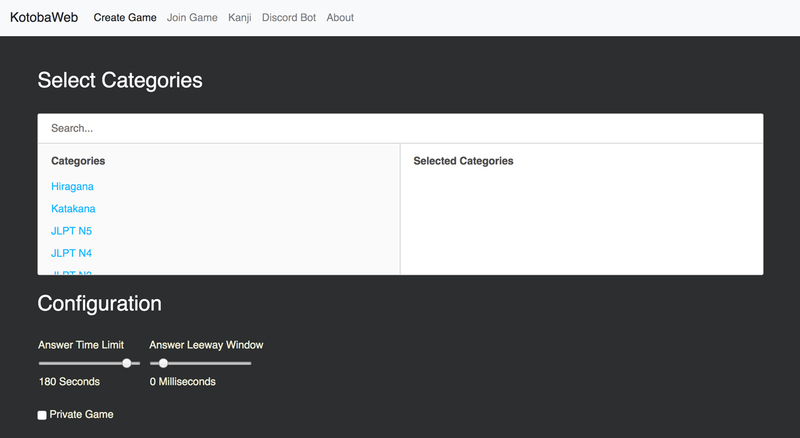 KotobaWeb started as a Discord bot, just called Kotoba. It's a way for Japanese learners to have fun and get easy access to Japanese concepts, like stroke order, on'yomi and kun'yomi information, conjugations, and translations. It also creates customized quizzes that users can participate in together. This ability to make quizzes and invite others to join is the main goal of KotobaWeb. There are a number of different categories: hiragana, katakana, JLPT levels, Kanji Kentei levels, locations, names. There's even a selection for yojijukugo and one just titled "insane." Any and/or all of these can be added together to make a special quiz just for you, your friends, coworkers, or random internet aquaintances. You can also customize the settings for answer time limits and leeway windows (but I was so close! ), and you have the option to keep your game public or private. Once you have your categories narrowed down, choose a username (or a random one will be provided for you) and invite some friends with the unique link at the top of the page. Once your friends join, the fun begins! We found that playing with people who were at the same level of Japanese had way more fun furiously typing to get the answers together. But if you're trying to use this with people of all levels it might not be so fun for some. If you're in a Japanese class and you want something to break the ice or start off your study groups, this is a fun option that will get you in the right groove. And it gives your brain a workout! Kata is a Japanese reader for Android, plain and simple. But it's so bare bones, it can be hard to figure out how to use it at first glance. Here's how it works: once installed, highlight some Japanese text. When your copy/paste options appear, click the three dots on the right and you'll see an option for Kata (beta). Click that. Your selected text will open in Kata, complete with furigana (which you can show/hide) and definitions for every word on the page. Once you select a definition, you can tap the play icon in the top right to hear a robot voice speak the word. There's a search icon too, which throws your word into a Google search—much faster than copy → switch to browser → tap search bar → paste → enter. Kata is by no means a pretty app and it doesn't have many features. In fact, it's so minimal that you may have trouble figuring out exactly how to use it. But it's handy to have installed when you're struggling with a chunk of Japanese text on your phone. It's one of your best options for Japanese reading help on Android, at least until Japanese.io makes an app. Add to SRS will put that word's information into a WaniKani style review queue. This allows you full customization of each item's information and a section for adding your own notes. 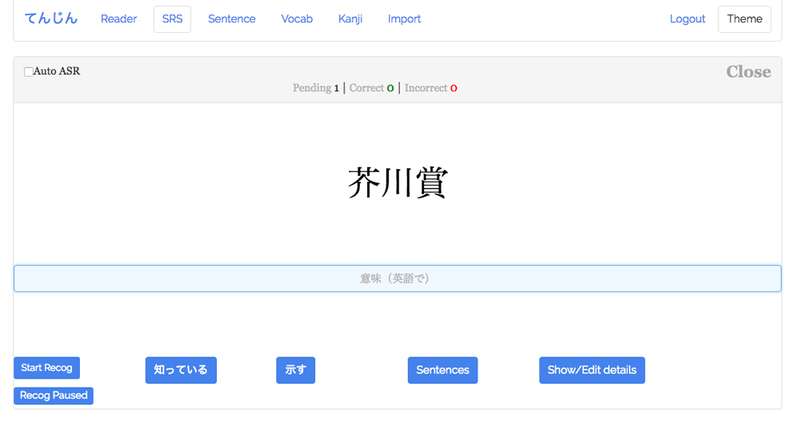 Other tabs have similar features for sentences, kanji, and the ability to import your WaniKani vocabulary, so you can make your own lists to study from outside the app. Tenjin Reader is slow and chugs to get through data you feed it. The supplied content also seems to contain lots of bugs that haven't yet been worked out. But the site shows promise. While it may not be feasible to add it to your study tools just yet, with more time and work by the creator, it could be super useful in the future. The Japanese language doesn't stray too far past intermediate at parts, and you have to be able to read a font that mimics handwriting. 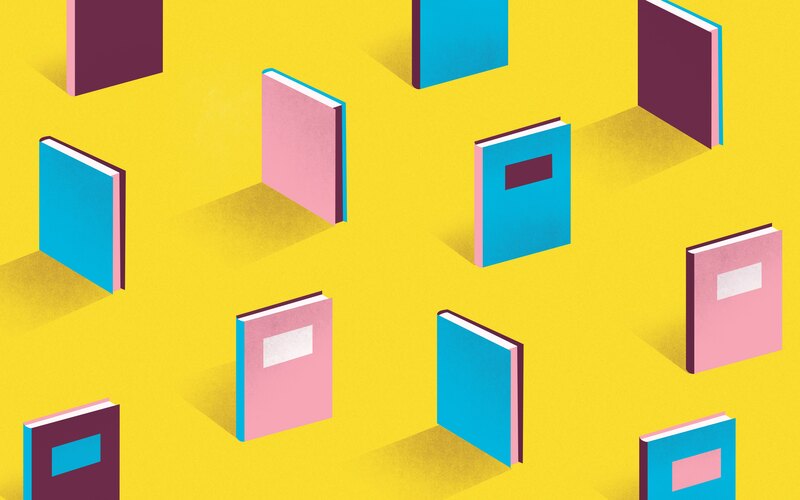 It's a bite-sized read that may just add a few things to your Japanese knowledge pool. At least it'll add a sound effect or two! In the past two months, two websites that help you practice your hiragana and katakana were launched. And their names are almost identical. If you're looking to learn the basics of Japanese reading/writing just choose the one that fits into your personal style the best. It's a simple, fast, and easy way to practice your hiragana or katakana quickly. The first is more minimal and lets you choose which of the aiueo columns you want to review. Just type in the English equivalent and it automatically moves to the next prompt. It also allows most IME variants like ti or chi for ち. You're not penalized for wrong answers—it simply won't switch to the next prompt. You'll need to realize it's wrong, backspace, and try again. 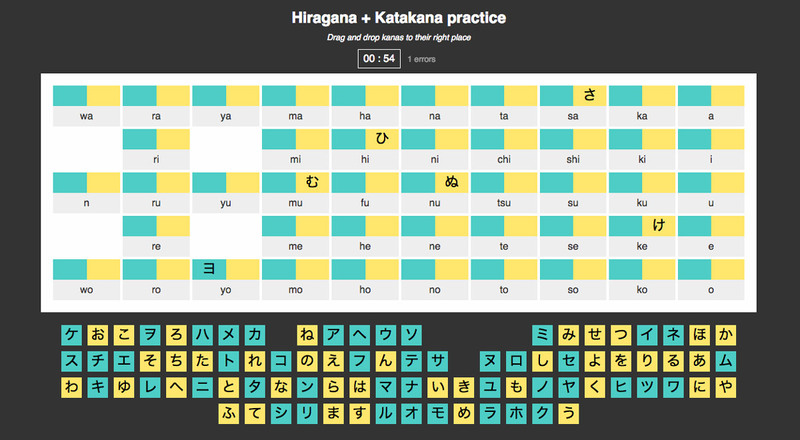 It's a simple, fast, and easy way to practice your hiragana or katakana quickly. The next practice tool is a set of grids with an answer pool at the bottom. 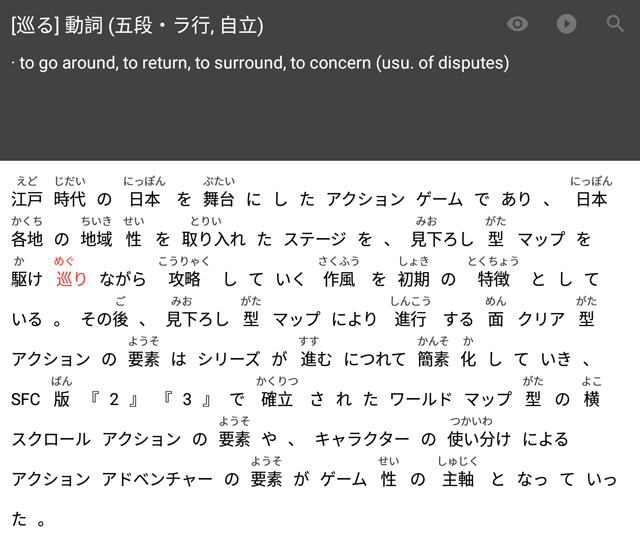 Drag and drop the appropriate hiragana and katakana (which are color-coded) to the right spots, next to their romaji. If you put it in the correct place, it stays where you dropped it. If it's wrong, the spot flashes red and the kana goes back to the bottom. There's also a timer at the top which starts automatically when you open the page. Next to that, any errors you make are counted. See how accurate you are with your mouse while you practice your kana and memorize the aiueo columns.